Enjoy Avocados and Reduce Belly FAT! But aside of that… I think we have many great, healthy choices! which makes me very happy because it means I can lose weight and satisfy my Mexican tooth! I love avocados! They are brain food too! Avocados are rich in potassium and vitamin c and a great source of protein! Yes… they have more calories than other fruits but they are also way richer in vitamins and lots of good stuff! Plus they don’t have “that many calories” … just about 150 for 1 whole average sized avocado! Loving avocado as much as I do I knew I had to include it in my diet! So I eat avocado EVERY SINGLE DAY! (in moderation of course!) and let me tell you a little secret: Did you know that avocados are good to fight BELLY FAT? Incredible! Isn’t it? Well… it’s because of its vitamin c content! it’s not magic! It turns out that people like me… who have issues with big middles usually have higher levels of cortisol, cortisol is the body’s key stress hormone. The problem is that cortisol slows your metabolism and it ALSO breaks down muscle! so you pretty much are a fat storing machine! Vitamin C is known to reduce levels of cortisol! So try to include more Vitamin C in your diet with foods like avocados, which are also rich in monounsaturated fats, these fats are known to reduce inflammation and decrease fat storage in the belly! 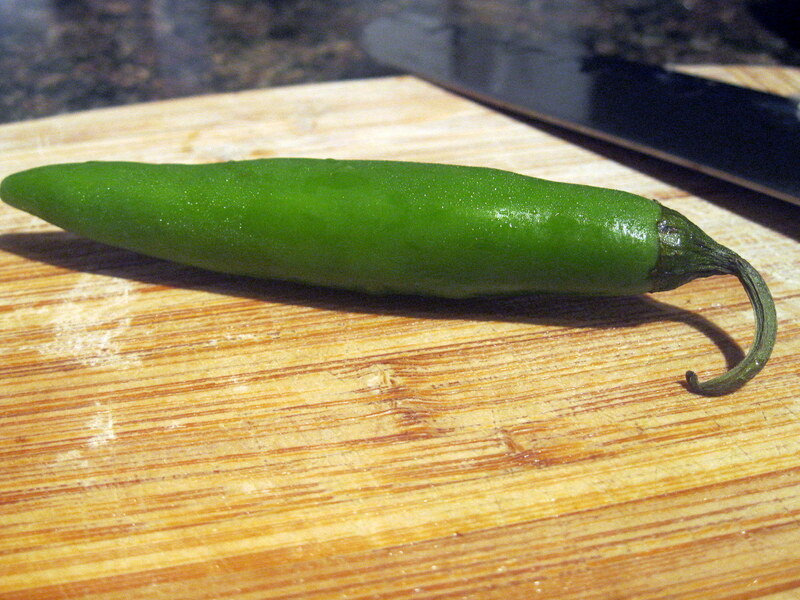 So… here’s your SKINNY GUACAMOLE! 1. In a food processor, combine peas and 1 tbsp. of the lime juice and process until smooth. Set aside. 2. Scoop avocado flesh into a medium bowl. Add remaining 1 tbsp. lime juice and mash with back of fork or potato masher. Add peas to mashed avocado and mix to combine. 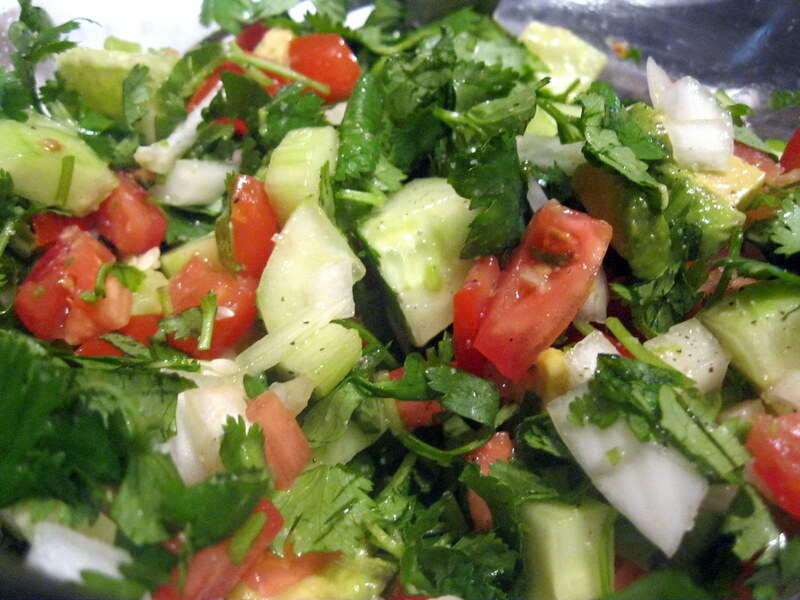 Add tomatoes, onion, cilantro, and jalapeños and continue mixing until desired texture is reached. Season with salt and black pepper to taste. Cover with plastic wrap placed directly on surface of guacamole and refrigerate for at least 1 hour (no more than 2) to let flavors blend (this is key, because that way the peas will absorb all the flavor from the avocado and the rest of the ingredients). So… if you read my previous post you then know I gained what I said were “a few pounds” … well… those few pounds were exactly 5 and I didn’t like it but didn’t fret too much about it… I mean… I knew why those pounds were there, I also knew what to do to lose them and most importantly I knew I could do it! so…. I could choose to stay there and dwell on the fact that I gained 5 pounds that took me a lot of work to lose (and in the dwelling lose focus and motivation and then end up adding more pounds to the count) or… just shake off the dust, get up and do something about it… so… that’s what I did… and I already lost them! So… whew! Once again I just proved (to myself) that I can do this and that this time I won’t let “bumps on the road” stop me from reaching my goal and once I get there I’ll know how to act to stay there! So… yes… I am very happy …. and the weighing thing… well… Not weighing for almost a month really taught me things… (Thanks Shadowrun for encouraging me to take the “no scale” challenge) because now that I am back to weighing “everyday” … I even forget sometimes! which is awesome! I don’t live for the scale! and it’s quite liberating, especially when you know you are doing the right things when it comes to eating/exercising! So… everything is going well here… slow and at times temptation and old habits/nasty reactions creep up! It’s like the fat me wants to sabotage me… this jailer doesn’t want to let me go! And the good and bad news is that the keys to this jail are in my hands! Anyway… Lots to ponder… but this battle is something that I’ve come to realize I’m always going to fight and I’m never going to quit! No matter how long it takes! I feel like an alcoholic in recovery… I am being honest… like I have to count the days of sobriety! But I’m on it! I AM ON IT! I ate a lot on Sunday… had beef fajitas, tortillas, refried beans and cheese… so yummy but it was bad… I mean… way more calories than I needed… plus I wasn’t exercising as much… going to run with my friend gave me this weird rash/allergic reaction where even my lips were all swollen… I don’t do well in Humid/hot weather and I live in an incredible hot/humid place… going outside almost kills me… it’s horrible! So I had to stop the exercise for a few days to avoid sweating to avoid making the rash (all on my face, neck and shoulders) more bearable! … I gained a few pounds but didn’t scare me… it was weird… It was like “it doesn’t matter… they’ll go away! I am losing them!” and just going back to my more strict eating and exercising made me lose 2 of those pounds pretty quickly… so… I’ll keep working! If you notice I won’t give you exact amounts… Mexican cooking is all about tasting and adding more or less of what you enjoy or don’t enjoy so much… Yes… we, Mexicans, have recipes but most of them will tell you “turn the fire down when it smells like this… or when you see this do that, or add a pinch of this or a bunch of that” LOL! It’s all about your senses! and in this case it will also be about being smart with the calories because avocado, being a great source of potassium and vitamin C it’s worth all of its calories but yes…. they are many! 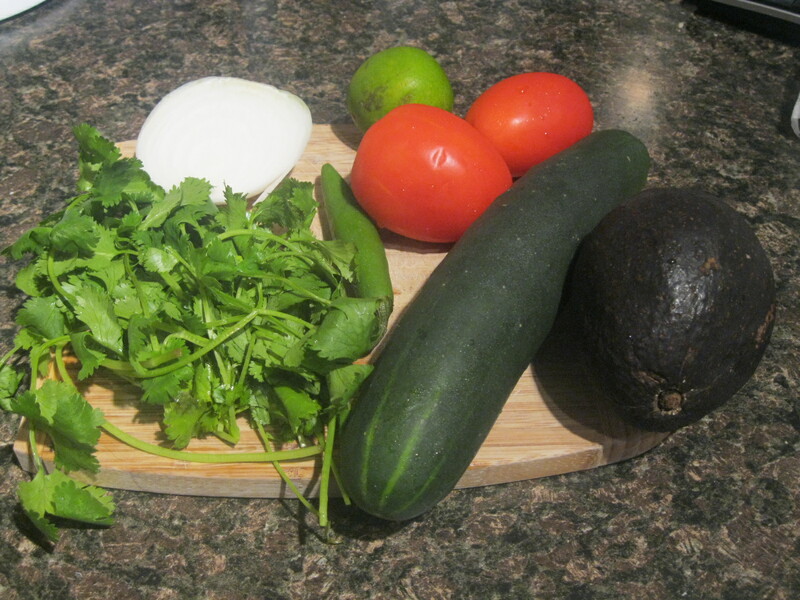 So… you need cilantro, cucumber, “serrano pepper” (you can use jalapeño which is milder), avocado, tomato, onion, fresh lime juice, salt and pepper to season! 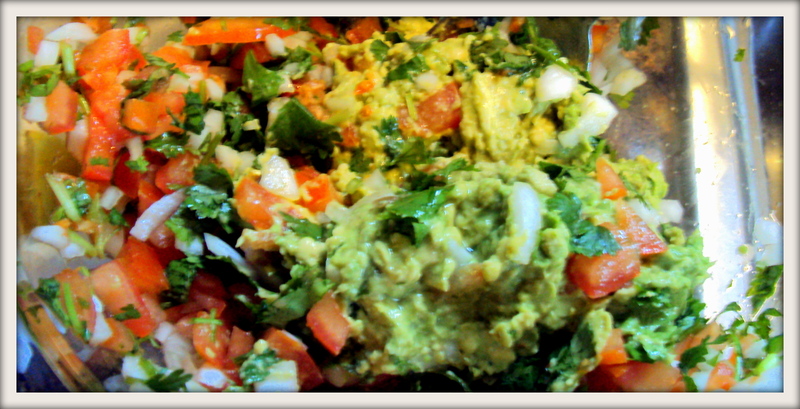 Chop your ingredients, squeeze that lime, season, mix, taste, adjust and enjoy! I really need my sleep right now but I’ll come back tomorrow to visit blogs and comment! And then the test came! Hello everyone! So… in my last post I shared I would go back to weighing everyday! And I said this time I wouldn’t freak out whenever I saw an increase on the scale as long as I knew I was doing the right thing that’s all that mattered. Yes… the first test to my “not freaking out” came sooner than I expected but I actually did great… It was just a test to show if I am as strong to face this and if I’ve learned anything and I feel I have! Of course I’d like to see the numbers go down to 135 in a week!!! LOL! But I know what I am doing is a long term thing and I actually enjoyed this first “increase” to show myself that I’m really “growing up” and being smarter for the way I take things! I am eating well… exercising and staying active and that’s all that matters… the scale is just a tool to help me stay accountable… like a “visual reminder” for me to not forget this is a daily commitment! but it’s my decisions, choices and active lifestyle what matters and what makes a difference! These are tostadas de pollo! 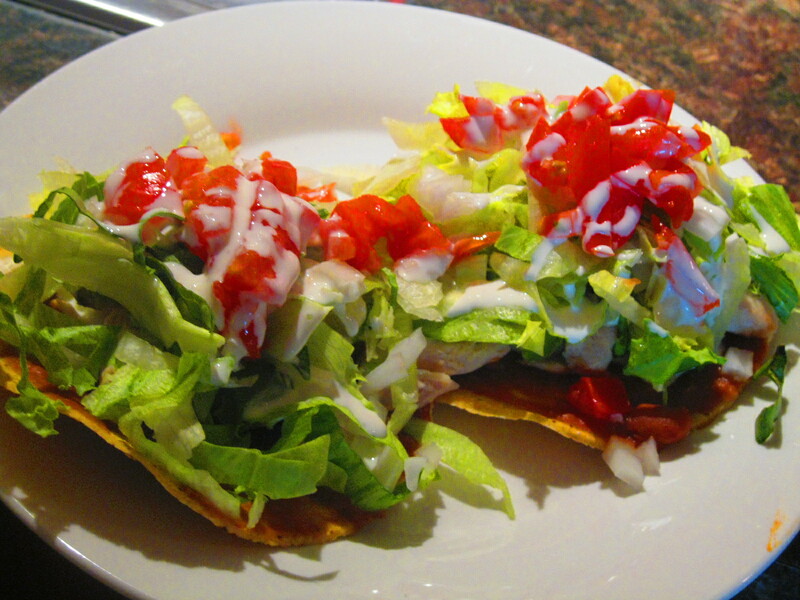 (chicken tostadas) They are very easy to make and they are so yummy! All you need are corn tostadas (you can even get the baked ones to make them even healthier and reduce the fat) but any tostadas will do… they are 50 calories each. Then you need some refried beans (try to get the fat reduced) (I use GOYA refried Pinto Beans -Traditional or RANCHERO-) 1/2 cup of beans is 140 calories but you don’t need half a cup you are just going to thinly spread the beans on each tostada, which is about 1 tbsp. per tostada. Let’s say it’s about 50 calories from the beans. Then add some shredded chicken breast, you don’t need a lot, let’s say about 1/2 cup of chicken breast will do that’s 126 calories. 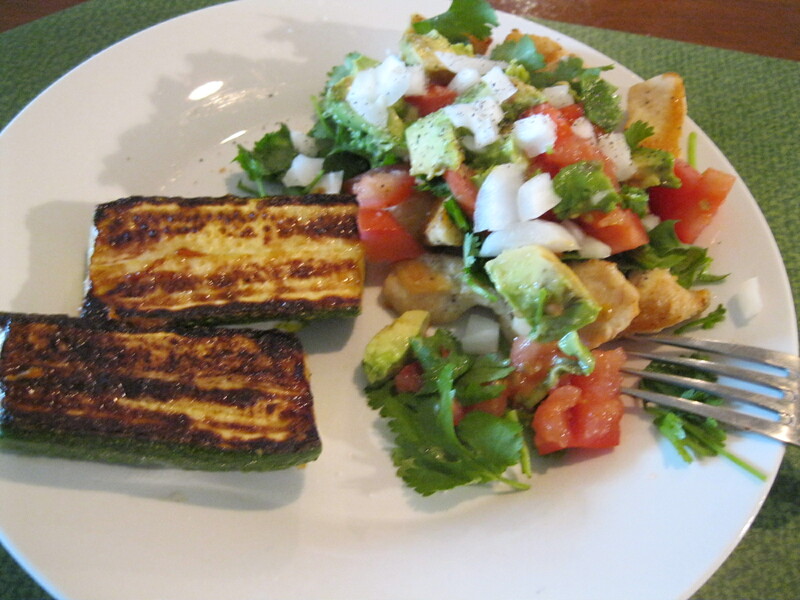 Top it with thinly sliced avocado… be conservative with the avocado… 1/4 avocado will be 70 calories. Top it all (and go crazy) with thinly sliced lettuce, chopped tomato and onions! you can drizzle it with a little bit of low fat sour cream, it would add about 60 calories. Enjoy your delicious meal all for about 500 calories! I know it still sounds like a lot of calories, but these calories come from pretty good stuff… You can use this dish to “indulge” and still stay in control! when you feel like you are craving something like “tacos” or the “greasy stuff that people say is Mexican but it isn’t” then why don’t you just make these amazing tostadas? They are fresh, rich, colorful and they’ll satisfy your craving! Hello friends! I’ve been busy enjoying summer! I enjoyed my mom and sister a lot! and I’ve been enjoying food more than I should’ve too! … I did great when my mom and sister were here… it’s amazing how good I do when there’s family around and/or celebrations… I kind of get this feeling of “pride” on what I am doing and accomplishing and it keeps me from falling into temptation… but later… when there’s no party, restaurant or family around… I just put food in my mouth that I shouldn’t be eating… nothing big… but little by little, snacking by snacking it all adds up… right? it’s like when you go grocery shopping and buy many little cheap things and end up having a huge bill and you wonder how in the world that happened if you didn’t buy anything expensive! well… same here! So…. I’m back to weighing everyday… it seemed to work for me the first few months and it seems to keep me controlled …. I know it’s totally a “mentality thing” but it helps me feel scared to put stuff in my mouth that is going to reflect the next day! I promise I won’t freak out if there are some variations that could be disappointing… I just need to do that in order to feel accountable each day! Right now I weigh 180.0 pounds … I had already reached 178 so… I want to leave those 180’s behind and hopefully soon be in the 160’s! I went swimming with my girls yesterday and then ran 1.5 miles and walked 1.5 miles in the evening with a friend for a total of 3 miles…. the first 1.5 miles which we run… I felt like giving up the whole time! I am happy I had my friend by me who kept saying “you got this girl!” “just a little bit more” “you’ll be happy when you finish” and … that kept me going! So I finished what we had initially planned to run! Looking forward to losing more! So… I went for a run with a friend yesterday… and it’s definitely not the same like “running” in front of the TV with the WII remote in one hand! This is real running! And I felt like I was going to choke in the first 2 minutes of our run! I am very excited I did this not only because it’s exactly what I am needing but also because it helps me keep in mind that even when exercising with the WII is a better option than doing nothing… I am not exactly going to become an athlete if I just do that! So… great lessons and very sore legs is what I got from last night’s run! I loved running with somebody else because it helps you keep going and not quit! I felt like I was going to throw up (right from the very beginning) I was gasping for air… -quite embarrassing if you ask me- but I did it! I ran only 1.5 miles… but I ran the whole thing! then I walked another 1.5 miles! So burned a whole lot of calories there! Felt really good and just thirsty afterwards… I love it because exercising like that keeps my “cravings” at bay! I’ll share some other things soon… right now I am getting ready because I have my mom and sister coming over from Mexico! yoohoo! So… have to go! I found this chart online and thought it’s very interesting! Many times I’ve felt like the cravings I have are the consequence of my body “lacking something” (not all the time of course! many times it’s just me wanting to have ice cream or brownies LOL!) but there are times when I feel something “bigger than me” just NEEDING to eat sugar or MEAT! and I feel that it’s your body asking you for something that it’s needing…. 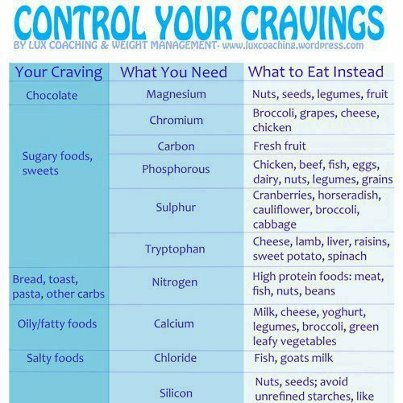 now… we can always make good choices (even when trying to satisfy those cravings) so I thought this was very neat!